I started making these years ago during my South Beach diet phase….the diet didn’t last but these tasty morsels did! They are a regular staple for me…so easy to grab on the go and check out the numbers…very low cal, high protein, healthy little wonder nuggets! You don’t even need to dirty a bowl to make them either. I am an egg head…I love eggs of all kinds and all preparation’s. I eat these cold for snacks. 2 of them for 140 calories and only 2 WW Points+…yahoo! Choose your favorite veggie and 1 tablespoon of cheese or Canadian bacon and the numbers won’t change much…if you go heavy on the cheese or add regular bacon (yum!) then you might want to add a few calories and a WW point. I’m fairly particular on what brand of egg product I use, there is a big difference in flavor. My first choice is ReddiEgg (in photo) which you can get at Trader Joes, second would be Safeway brand, followed by Egg Beaters. The Kirkland brand at Costco doesn’t taste like anything…very bland…hard to tell if you are eating something or not…too bad too, ’cause they are about half the price. 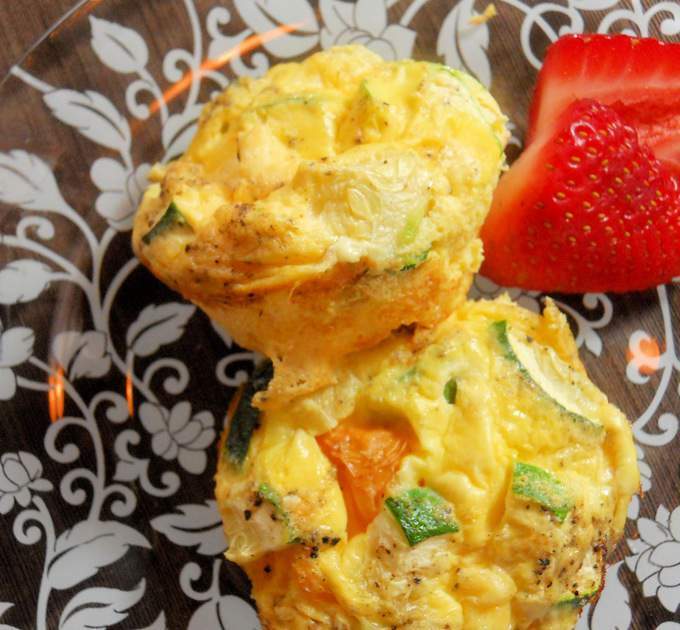 These numbers are based on 1/3 cup egg product, 1/4 cup veggies and 1 tablespoon of light grated cheese or feta. 1 32 oz container of egg product like Reddi Egg. 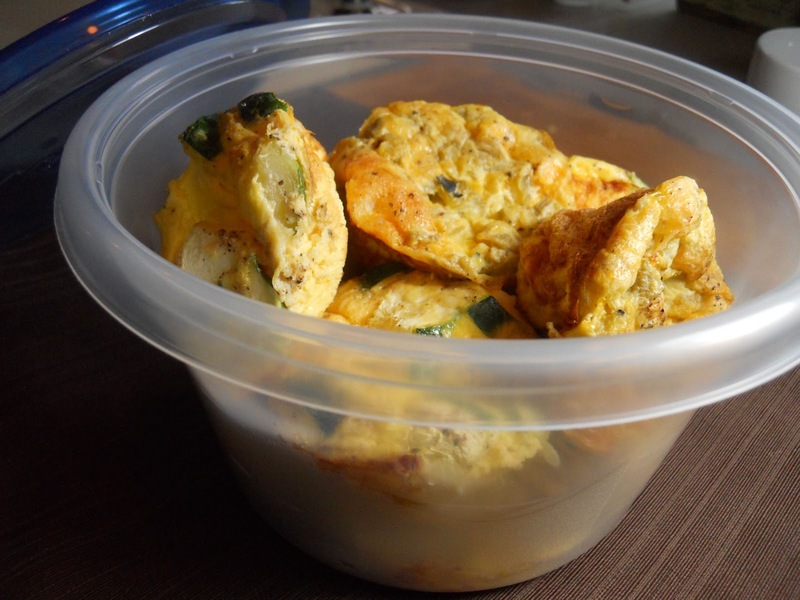 1 1/2 cups uncooked chopped veggies like zucchini, onion, red or green pepper or a combination of all. Asparagus and canned green chili’s are very good too. 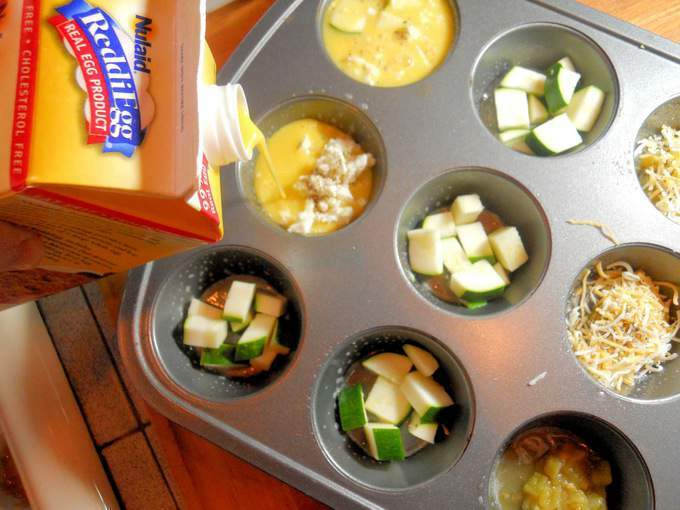 Using non stick spray, spray a 12 cup muffin tin…go heavy on the spray. Add about 1/4 cup of veggies in each cup and top with 1 tablespoon of cheese. Sprinkle with salt and pepper. Pour egg product over veggies and cheese. 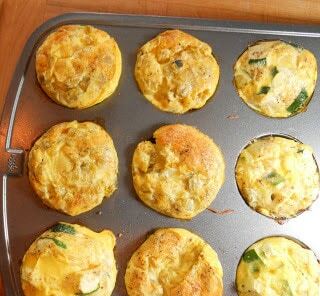 Bake approximately 25-30 minutes or until lightly golden brown on top and muffins feel firm in the center. These will keep for up to a week in a sealed container in the refrigerator. These look amazing! Any idea on how I could make a real egg mixture that would substitute well? My 3 year old would love these…he adores eggs?!?!?! Hi Colleen – I’d try 5 eggs and 1 cup of half and half or milk. Should turn out like a firmer Quiche.